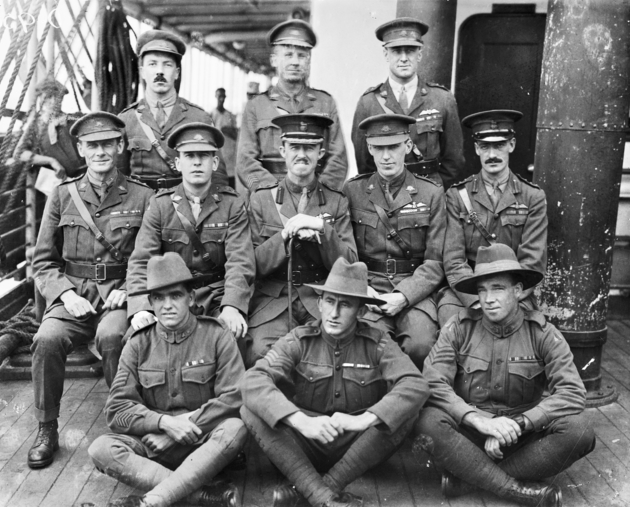 By early 1918, four Australian Flying Corps units were on active service: No. 1 Squadron in the Middle East, and Nos. 2, 3 and 4 Squadrons on the Western Front. AFC crews in the Middle East were also attached to a special air unit formed to protect Colonel T.E. Lawrence—the legendary Lawrence of Arabia—and his force of 30,000 Arab irregulars, who were suffering rough treatment from German bombers. Lawrence was thrilled by the nonchalant bravery of Lieutenant Ross Smith, whom he described admiringly as ‘an Australian, of a race delighting in additional risks’. Allied air power reached its zenith in the Middle East in September 1918 during the Battle of Armageddon, a campaign planned to achieve the final overthrow of the Turks. Having first established air supremacy, the allied airmen attacked the enemy furiously, causing terrible carnage. During one engagement, 10 aircraft from No. 1 Squadron decimated a trapped force of 3,000 troops, 600 camels and 300 horses, repeatedly bombing and strafing terrified men and animals. The battle ultimately resulted in the destruction of three Turkish armies and the capture of Damascus, events which precipitated an armistice on 31 October. Mention must be made of the theatre’s outstanding AFC personality, Richard ‘Dicky’ Williams. A thin, intense man whose high forehead and penetrating gaze accurately reflected his probing intellect, Williams was strong-minded, confident and an excellent organiser. He was also a courageous pilot, decorated with the DSO and OBE and twice mentioned in dispatches. Williams was promoted to command No. 1 Squadron after only a year in the Middle East, and in June 1918 he was given command of one of the two wings comprising the Royal Air Force’s Palestine Brigade, a considerable achievement for a ‘colonial’. 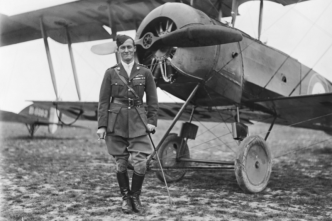 Subsequently the first chief of the Royal Australian Air Force in 1921, Williams remains the greatest figure in Australian military aviation history. 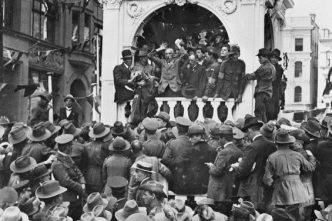 On the Western Front, the most notable event occurred in July 1918, when the AFC participated in the Battle of Hamel, arguably the first genuine application of joint (air and land) warfare, planned by the brilliant General John Monash. 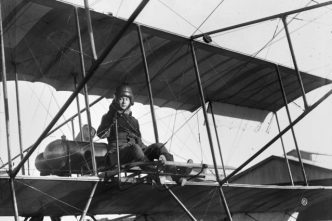 Popular images of air combat in World War I have been shaped by flickering films and sepia photographs, in which chivalrous amateurs seem to play out an exciting new sport remote from the squalor of the trenches. In reality, the war in the air was ruthless, cruel and, ultimately, professional. Casualty rates were shocking, reaching 88% in some squadrons for extended periods, and averaging more than 50% for the war. The life expectancy of new pilots on the Western Front was three weeks. At the direction of the British air commander, General Hugh Trenchard, aircrew were not allowed to wear parachutes, a decision which condemned those whose aircraft were shot up to the horrific choice of either burning alive or jumping to their deaths. Contrary to popular notions of chivalry, once the early excitement of the war had been replaced by hard cynicism, it was common for downed airmen to be strafed and killed by enemy pilots. Nor was there much understanding of the physiology of flying. Sustained flight above 3,000 metres in an open cockpit in winter subjected men to severe stresses, and aircrew frequently died from the bends or in spasms and fits after landing. Those squalid happenings were offset to some extent by brilliant technical achievements. In August 1914, aircraft performance was abysmal, and it was not uncommon for pilots to experience an engine failure a week. By 1918, fighters could climb to 6,000 metres in 43 minutes and cruise at 7,300 metres, impressive figures which necessitated oxygen systems and heated flying suits. Other innovations included engines that had five times more power than their predecessors and were vastly more reliable, air-to-ground wirelesses, bomb racks, automatic cameras, multi-engine bombers, and illuminated navigation beacons that flashed in Morse code to guide crews at night. Technical advances were complemented by the rapid development of sophisticated doctrine. Roles such as control of the air, close support, interdiction, reconnaissance, army and fleet cooperation, anti-shipping strikes and, most significantly, strategic bombing, were all familiar to air force commanders by 1918, as were complex tactics for coordinating the activities of very large formations of fighters and bombers. The rise of air power between 1914 and 1918 represented the 20th century’s first revolution in military affairs. The men who were to lead the RAAF when it was formed in 1921 were exposed to that revolution, and received a severe professional education. In that context, the achievements of the AFC were heroic in their own right, and constituted a precious legacy for the RAAF.